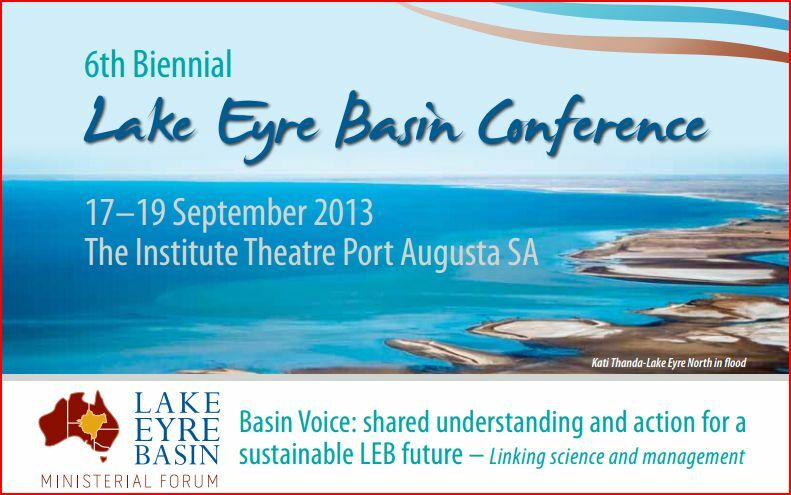 The 6th Biennial Lake Eyre Basin Conference is to be held from 17-19 September 2013 with the theme Basin Voice: shared understanding and action for a sustainable LEB future and the Ministerial Forum is calling for presentations at the event. Submissions are due by Tuesday 30 April 2013 to Emma Ross. Information about the Conference can be found on the LEB Conference website. This entry was posted in Conference, News and tagged biodiversity, Fauna, floodplain, flora, grazing, invasive species, Lake Eyre Basin, LEB, LEB Conference, NRM, presentation, river, threatened species, water resources management. Bookmark the permalink.